The Hong Kong Paralympic Committee & Sports Association for the Physically Disabled (HKPC&SAPD) is the national member of International Paralympic Committee (IPC) with the vision of Enabling Hong Kong Paralympic Athletes to Achieve Sporting Excellence. The HKPC&SAPD is inviting candidates with strong passion in Paralympic Movement to apply for the post of Administrative Assistant (Accounting). To take up special projects as assigned by the Senior Management. Previous working experience in sporting organizations is an advantage. Salary will depend on qualification and related working experience. Annual leave, Mandatory Provident Fund and medical insurance will be provided. Please send full resume with cover letter, current and expected monthly salary to The General Secretary, HKPC& SAPD (Address: Unit 141-148, G/F, Block B, Mei Fung House, Mei Lam Estate, Shatin, N.T.) 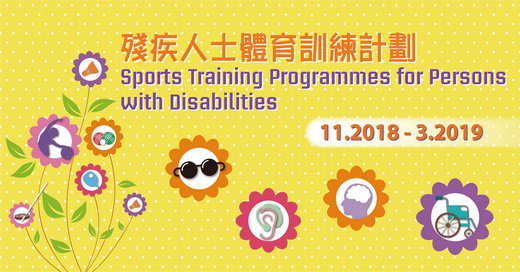 or email (mailadmin@hkparalympic.org) on or before 4 April 2019. For those who do not receive our reply after one month from the date of the application deadline should consider their applications unsuccessful.